As the industry trends toward digital sound and plug-ins (or so we were told), we increasingly have . . . wha? More hardware emulating old analog classics? And now at prices under US$1000? That's right — a Minimoog clone with USB under a grand. This is all-digital emulation, not real analog, but the price is right. but Creamware appear to be erring on the careful side. 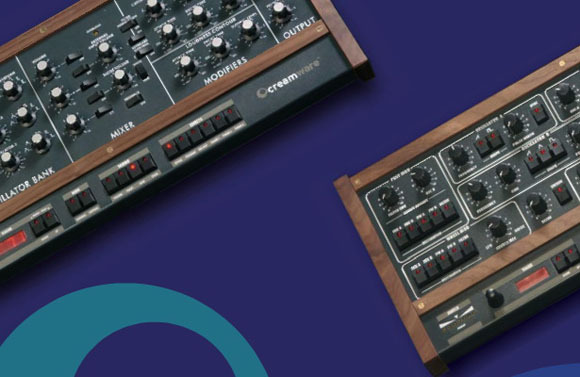 Not to mention, this is no Minimoog Voyager — though it's also half the price. Your landlord would prefer you get the Creamware, thank you. was almost exactly predicted by Music Thing's April Fool's joke.